(i) The company has emerged as the preferred brand for educational products among teachers and students. The immensely popular products like Vikas workbooks, Gala practice books, YouVa full-scapes, are hot favorites amongst the young segment of India. These products are bestsellers not just because of their superior quality but also because of the nostalgic association of 90’s kids. (ii) In December 2016, Company acquired Encyclopedia Britannica (India) Pvt. Ltd. for publishing CBSE Textbooks. With this acquisition, Navneet will focus on serving the regional teaching and learning needs with supplemental digital solutions. The buyback up to 46,87,500 fully paid-up equity shares of face value of Rs. 2/-(Rupee Two Only) each of the Company ("Equity Shares") representing up to 2.01 % of the total number of Equity Shares of the Company at a price of Rs.160/- per Equity Share("Buy Back Price") payable in cash for an aggregate amount of up to Rs.750,000,000/- ("Buyback Size"), which is 9.25 % fully paid- up equity share capital and free reserves(including securities premium). 1. 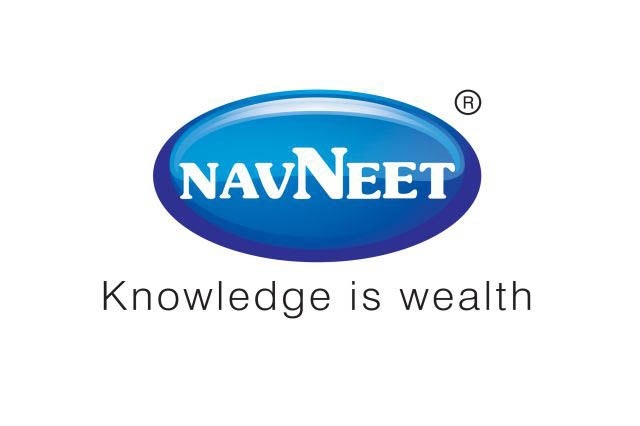 Firstly, to be eligible for the buyback the investor should have shares of Navneet Education Buyback offer 2018 in demat or physical form as on the record date [31.08.2018]. 2. Once you have shares in demat, you can participate in the buyback process which is opening from [24.09.2018 to 08.10.2018] by selling your shares through your broker on NSE or BSE. 3. Then on [16.10.2018], the payment will be given to you for accepted shares and unaccepted shares will be returned to your demat account. 2. 1250 Shares bought at Rs. 128 means an investment of 1,60,000. 3. Retail Acceptance Ratio was 26%. i.e. out of 1250 shares, 325 shares have been buyback by the company. Profit on Accepted Shares–10,400. 4. The final Accepted Shares were taken back on 16.10.2018. The CMP on 01.11.2018 was 112. If someone sells his remaining shares at a loss of Rs.16 per shares the loss would be (925*16=14800). 5. Overall we can say a loss of 4400 on an investment of 1,60,000 in 2 months which is equivalent to a -16.5% Annualized return. when will we get payment? any tentative date? Acceptance for the shares deposited is 26%. The message sent for 100% acceptance was incorrect. Well i just checked from my demat acct. 26.5% shares were bought back only. I also received massage that all my 700 share of navneet edu. are debited from my nsdl account. While other are refering 26%..
Have anyone received shares back in their demat account? Today i recd a msg that all my shares held in navneet are debited for buyback. If this is correct, probably can presume that there was 100% acceptance in buyback. Let me update here once thinga become clear. I got the same message, looks like it’s 100% for retail investors. Any update on Navneet? How much is final acceptance ratio? Shares are still not debited!! Mine are debited. I have account with Zerodha and raised the request around 3rd Oct. Yes, Shares have gone from the demat, but no info on actual debit (bought back) and returned. Considering current subscription, can you suggest what may be the acceptance ratio for Navneet ? 9% is the eligibility, if even all of the eligible retail apply, all of their shares (90 /1000, exactly). Now many would not apply, and some would apply only equal to the eligibility. So %age acceptance for retail less than 2L is 10% + excess left (should be 10% further) so 20% for sure. Individual even include the promoters!!! Anyone have idea, how much shares have been tendered for Navneet, by now? Overall it is subscribed =120322073/4687000=25 times. will this mean that retail category will get only the minimum as per their entitlement. If it has gone 36 times in their category, then i am sure all yhose who were entitled must have applied. Maybe some of them ( long term, old or ignorant ones would not have). Retail segment ensures that we would get minimum equal to our eligibility which is 9%, incase of QIB and other it would be even 0.1 -0,2%…. Retail is not us, but also promoters. Nos. cannnot be more than that of record date!!! I have shared a link above just below the recommendation. I have purchased shares on 30th August 2018. Will I be eligible for buyback offer? No. You will not be eligible. As shares in India are delivered after T+2 days in your demat account. If you have bought on 30th August then it will show in your account on 1 Sept. Hence when the company checks your name in the books on 31st August it won’t be there. So you are not eligible. I have 105 shares of Navneet education limited… As per information given above buyback is on, but in my demat account, No current buyback is showing… How do i apply it for buyback??? The simplest procedure is to call your broker and tell him the quantity you want to tender. He will block those many shares for buyback. Else Many broker like ICICI provides facility on the trading app itself. We in the group have bought 1249 shares in each account for Buyback purpose. As per entitlement ratio of 10%, declared shares are 121 for Buyback.Normally I expect acceptance ratio between 50-65%. with 65% acceptance, 811 shares will be buyback. There is no such thing. If you tend to tender your 1249 shares then, only after the closure date of Buyback i.e 08.10.2018 the remaining 438 shares based on 65% acceptance ratio will come back to your demat account. I have 100 shares of Navneet for over a decade now. I am planning to sell them via buyback. Question: Does it make a difference if I put buyback of all 100 shares on the day of opening of the buyback (24.09.2018) as compared to last day (08.10.2018)? Is it like, buyback is done on first come first serve basis? How can I maximize the chances for 100% buyback of all my shares? No. It does not make any difference. Buyback has nothing to do with First Come First Serve basis. The valid number of tender share will be accepted based on ” Acceptance Ratio”. Thanks! Yesterday I got the buyback offer document in paper format from Navneet by post. In the document set, on first page it is mentioned that only 9 out 100 shares are eligible for buyback based on the buyback ratio calculation. This is extremely low compared to the scenario predicted on InvestorZone article and other speculations made by other readers in comment section. Looks like, buyback offer was pretty flop-show and SEBI should mandate every company to declare buyback ratio for every 10 or 100 shares that small investors hold on the record date. This would give better insight into making this key investment decision. When did u buy these 100 shares? I sold my shares on 31st August so will i be eligible to receive the offer ? As per my information, I will receive the offer since shares sold today will be transferred to Seller after T+2 Days . 121 is sure shot, which would be accepted. Now, may people who have only 5 (out of 50) or 8 (out of 70) shares entitled for buyback, would not participate. Also, normally less than 50% of retail are actually active for buyback.. Considering this your acceptance would be 121 + (no. of shares not tendered by other holder).. But it is all guess depending on persons actually tendering, seeing the big difference between market price and buyback price. Many people sell their entitlement and hold remaining..
For 1250 number of equity held, 121 are entitled for buy back. What can be the acceptance ratio? Earlier I get the see the comments saying around 50% buyback. Does it still holds true? Any information on offer letter? Record date of HCLTech and Navneet was 31st Aug, but HCLtech has already sent offer letter and buyback to start from 18th, while no info for Navneet? Worth noting that navneet became ex buyback today, and still is holding on to yesterday:s rate. As per Annual Report up to March 2018, the no. of shareholders having shares between 1000-2000 were 1,304 having shares 19,20,841. As more people will buy shares till record date for participation in the buyback, assuming retailers having 20 Lacs shares as on Record date, and again assuming that 70% people will participate, the Acceptance ratio should be around 50%. So I feel good acceptance >80% is possible. Record date is already announce as 31 August!! Seeing the speed at which the buyback is introduced and the last date also as 31Aug. Not much of retail would be able to buy purely for buyback.. The acceptance ratio would be very high.. Upto 60%. Try to consider Market value..